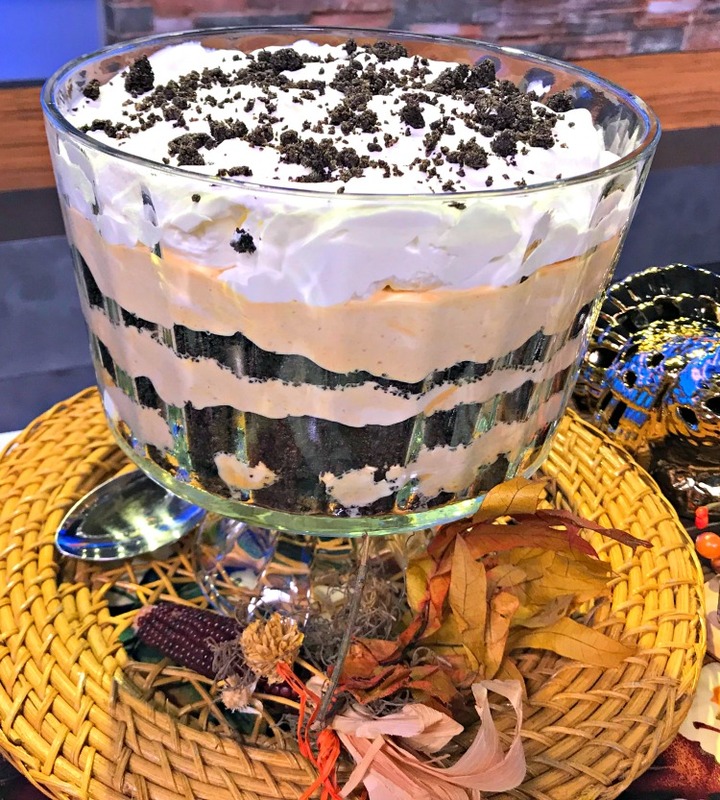 My Oreo Pumpkin Trifle Dessert was created just in time for any upcoming holiday meals, including Thanksgiving. 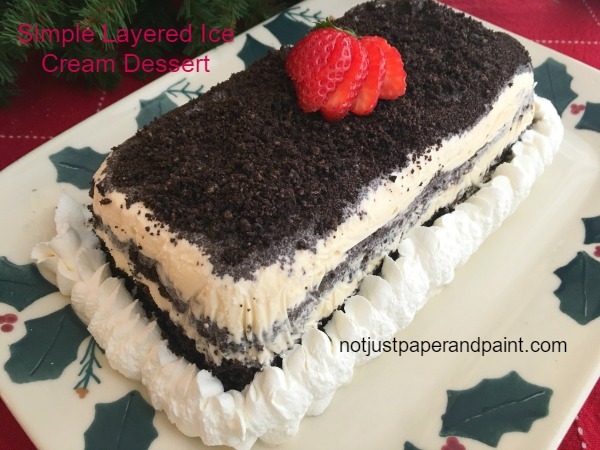 I added an Oreo crust and whipped cream to a recipe I did a couple years ago. Don’t you just want to dive into this? This could become your new favorite dessert for really anytime. Remember this dessert? 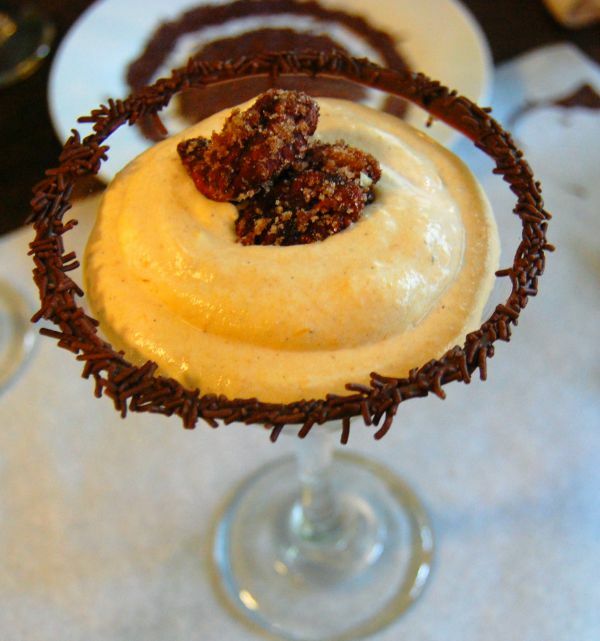 My Pumpkin Mousse served in a chocolate drizzled Martini glass with candied pecans?. Well, it’s still a favorite but I thought it was time to give a bit of an update. 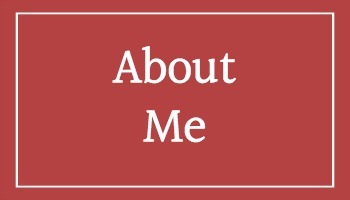 This post does contain a few affiliate links for your convenience. Who doesn’t love Oreos? And with a whipped pumpkin mousse? 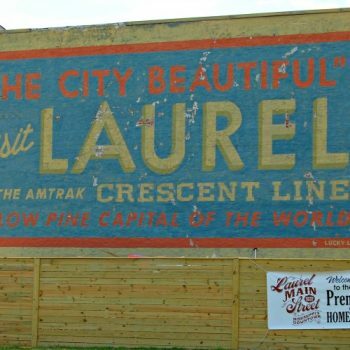 Just plain good. I’ll include the recipe here again for the mousse but you can go to the link here to see how the original recipe was presented. A trifle bowl is a great serving dish to have if you don’t have one yet. 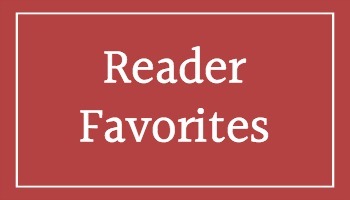 I’ve included a link here for you to check out which is similar to mine. I love to use these for any layered desserts and salads. If you don’t have a trifle bowl, any taller bowl, even the bowls which remind you of fish bowls will work well. A few alternate ideas for serving this Oreo Pumpkin Trifle is in individual servings. Inspired from one of our favorite restaurants, Seasons 52, these small desserts are great for when you want just a bite of something sweet after a meal. Whipped topping could be added to these also. Garnish with Mini-Oreos or crushed Oreos. Make them ahead of time also and put on your buffet table so everyone can have a few bites. Here’s a link to glasses which not exactly like mine since they are no longer available. Small mason jars are also a great way to prepare these ahead of time. 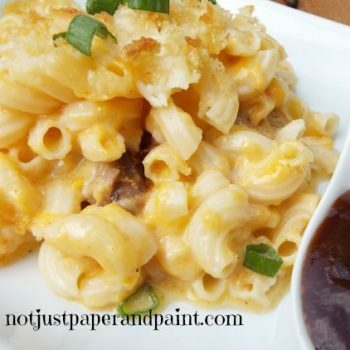 This is convenient for any holiday gathering or maybe an office party. Crushing Oreos is much easier with a food processor. If you don’t have one, place the Oreos in a Zip-Lock bag and crush with a rolling pin. I keep crushed Oreos on hand (without butter) to use as a topping on ice cream. And it makes a great garnish on any chocolate dessert. If butter is added, you will need to refrigerate. 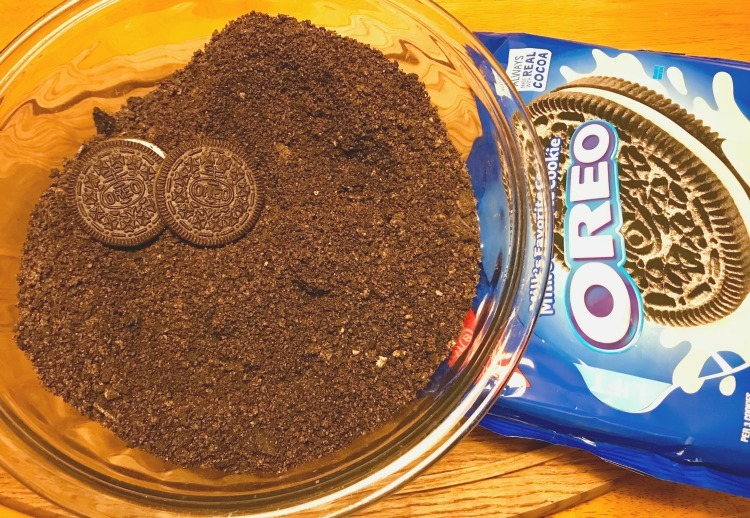 Here’s another great dessert to use crushed Oreos. 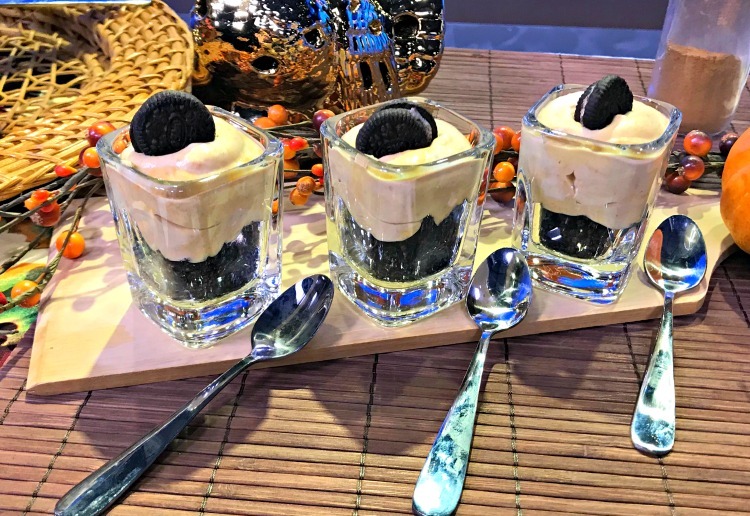 A delicious, creamy mixture of pumpkin mousse, Oreos, and whipped cream. Combine pumpkin, 1 cup heavy cream, sugar and spices in a medium saucepan. Heat until it comes to a slight bubble and simmer 4 – 5 minutes, stirring occasionally. Pour mixture into a medium mixing bowl to cool. In a medium size bowl, whip remaining 2 cups of heavy cream to stiff peaks. Fold approximately 1/3 of the whipped cream into the pumpkin mixture. After this is incorporated well, fold in remaining whipped cream, being careful not to overmix. Stir in melted butter until well blended. Reserve about 1/4 C for garnish on top. Whip heavy cream and sugar together to form stiff peaks. 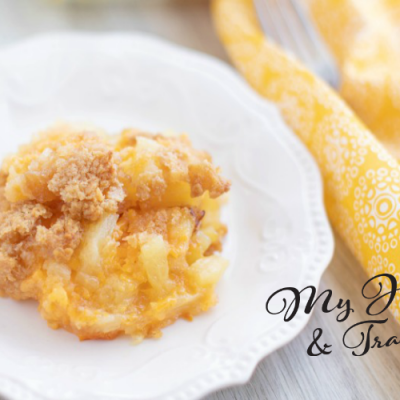 I usually make the whipped topping with a little less sugar when using on a sweeter dessert like this. The pumpkin mixture can be made ahead of time (before adding the whipped cream) and refrigerate. Layer in mason jars or mini parfait glasses as desired. This recipe could easily be made in half if doing a smaller amount of jars or parfait glasses. My husband would jump out of a plane for this. His obsession with oreos is REALLLLLL! lol! Okay, I’m not sure if you had me at pumpkin or Oreo – LOVE IT ALL!! Excited to try these! Yeah – a little chocolate, especially Oreos, can make everything better. This looks amazing! I want this dessert for Thanksgiving. 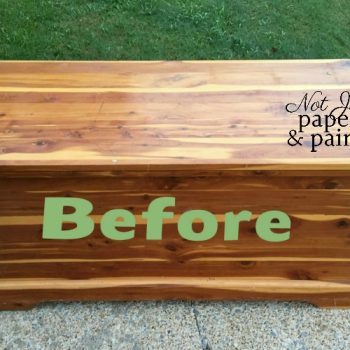 It is so good – and easy to do part of it ahead of time. As a passionate lover of Oreos, this dessert would be my new favorite one. My mouth is watering after seeing your pictures, Rosemary. What kind of sugar do you use for this recipe? Put oreos with almost anything and it makes it better. Let me know if you try it. This looks amazing!! It also reminded me that I need to order parfait glasses! Layering a dessert makes it so much prettier. Hope you try it.